- Blaze Pizza- $3.14 pizzas on 3/14/18. - Bojangles' - Three Sweet Potato Pies for $3.14 on 3/14/18 at participating locations. - Boston Market - Free Chicken Pot Pie with a pot pie and drink purchase on 3/14/18 (coupon necessary). - Cicis - Get a $3.14 adult buffet on 3/14/18 when you buy one adult buffet at the regular price. - Papa Murphy's - Large, one-topping, thin-crust pizza for $3.14 on 3/14/18 at participating locations (online only). 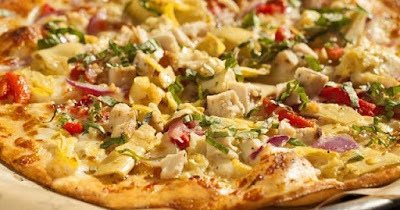 - Pieology - $3.14 pizza with the purchase of a pizza on 3/14/18 via coupon. You need to sign up for their email list to get the coupon. - Whole Foods - $3.14 off the regular price for any large bakery pie on 3/14/18.